Heritage Links Banquet Hall offers all of the amenities for a variety of gatherings ranging from golf outings to weddings to business meetings. Our attractive dining facility seats approximately 200. Everything from burgers and brats to gourmet meals are available for your function. A full bar service is available to complement your event. Our banquet hall is open year round. 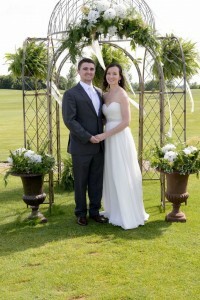 Take advantage of the beautiful surroundings of Heritage Links Golf Course and Banquet Facility when planning your next Southern Minneapolis wedding, banquet or other special events. Heritage Links serves the communities of Lakeville, Prior Lake, Burnsville, Elko, New Market, Apple Valley and Farmington as well as the surrounding Twin Cities Metro area.